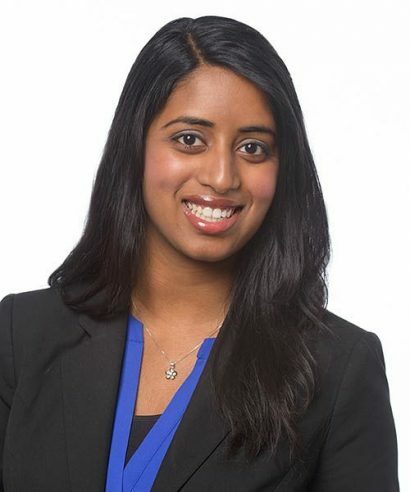 Parvathi “Parv” Santhosh-Kumar is senior director of impact for StriveTogether, where she leads the implementation of intensive capability-building strategies to achieve impact towards economic mobility across the StriveTogether Cradle to Career Network. Parv is an advanced Results CountTM practitioner who coaches teams of cross-sector leaders to strengthen strategies to advance better and more equitable results. She also serves as managing director for StriveTogether’s Chicago office. Parv previously led the organization’s learning and activation strategy and the launch and early implementation of the Cradle to Career Accelerator Fund. Before joining the team, Parv served as associate director of education policy and programs in the Office of Chicago Mayor Rahm Emanuel. She developed and implemented action plans aligned with top priorities from cradle to career, including launching Chicago City of Learning, managing the mayor’s $36 million commitment to expanding early learning and supporting the incubation of Thrive Chicago, a StriveTogether Cradle to Career Network member. Parv earned a bachelor of arts in American studies from Northwestern University and a master in public policy from the John F. Kennedy School of Government at Harvard. She was recently selected as one of 50 young leaders from the Global Shapers Community to participate in the World Economic Forum Annual Meeting in Davos, where she contributed to dialogues with world leaders on creating a shared future in a fractured world. She is based in Chicago. I wanted to star in Broadway musicals – especially “Les Misérables”! Volunteering in summer programs and learning from kids I was teaching. I sang a capella for 700-plus people through #FearExperiment!